Saint Laurent's belt can be worn threaded through the loops of jeans or around the waist of dresses - our favorite is the latter, especially when it's one as cool as this velvet style. 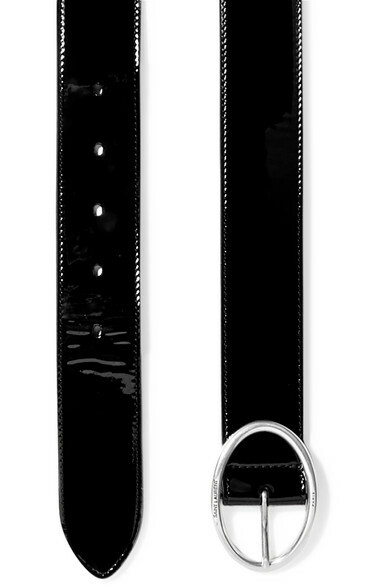 It's made from glossy patent-leather and punctuated with a polished silver-tone buckle. Shown here with: Saint Laurent Dress.